Since October 2010, AFRINIC, APNIC and LACNIC (three of the world’s five Regional Internet Registries – RIRs) have worked alongside the International Development Research Center (IDRC) to establish a global alliance. The Seed Alliance was formally launched on 31 March 2012, thanks to a generous grant from IDRC, to support the launch of FIRE Africa and to strengthen the two existing programs, FRIDA and ISIF Asia. The Swedish Government also joined the alliance via a generous grant from the Swedish International Development Agency (Sida) in October 2012. The Seed Alliance has supported over 185 projects with around US$ 5.1 million allocated in Grants and Awards throughout Africa, Asia Pacific, and Latin America, helping to strengthen and promote the Information Society within these regions. The Seed Alliance’s objective is to offer opportunities to project teams developing innovative Internet solutions that address social and economic challenges. 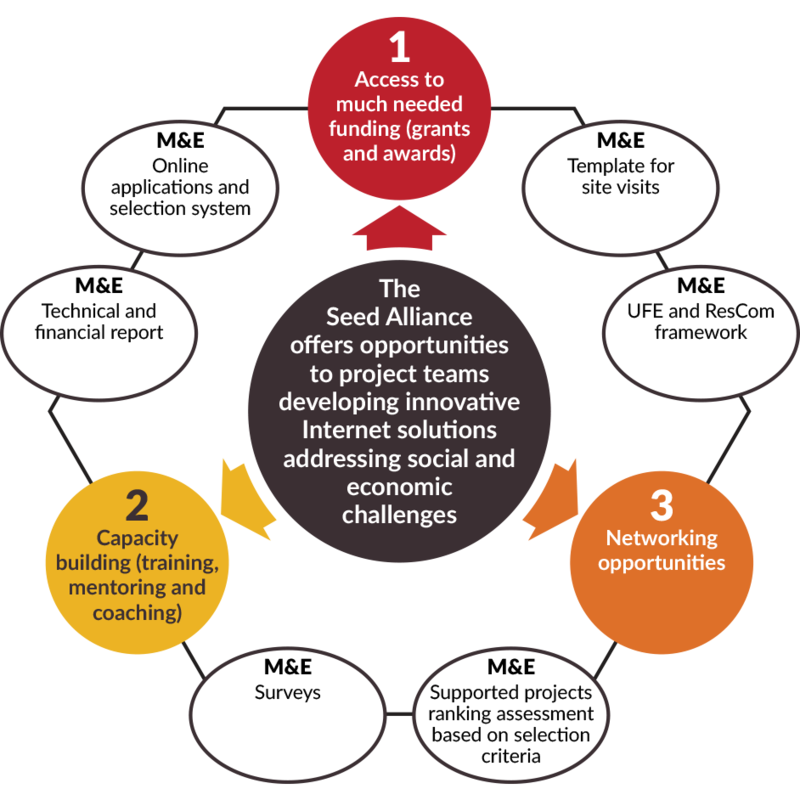 The Seed Alliance gives organizations the opportunity to scale up their activities by providing funding (various types of Grants and Awards), training, mentoring and/or networking support. The Seed Alliance supports groups of entrepreneurs, researchers and activists that are not necessarily working at the same organizations to get together to implement proposed projects in a specific economy, across one region or inter-regionally. These groups are referred to as project teams. The Seed Alliance identifies digital innovations and solutions (software tools, devices, research outcomes according to each regional set of criteria and categories) that make strategic use of Internet technologies in an innovative way. The Seed Alliance supports projects that respond to the needs and challenges that different communities face, looking to bring positive change to communities across the global south.